Sometimes the Solution is So Simple……. For a few years now I’ve battled ants in my kitchen; as soon as the weather warmed up their caravans began to roll in. By July these gypsies were so thoroughly entrenched I basically had to wait it out, knowing that come fall they would pack up and move on. Stern reminders to my family not to leave dishes on the counter, elaborate honey traps in the night that had me waiting until hoards fed with wild abandon – swooping in with a cloth and momentary sense of satisfaction. Still they came; an infinite army of invaders ; organized, intelligent, and beyond my ability to control. Not wanting to use insecticide or chemicals in the kitchen, I was nearing surrender. For a brief moment it crossed my mind to fashion a white flag from a chopstick and paper towel, placing it in the plant pot on the window sill. I knew they were getting in under the window frame; my house is old, ants are small , my efforts to stop the advance futile. Then a thought crossed my mind. Like a great general on the battlefield, facing certain defeat against insurmountable odds – I came up with a plan. 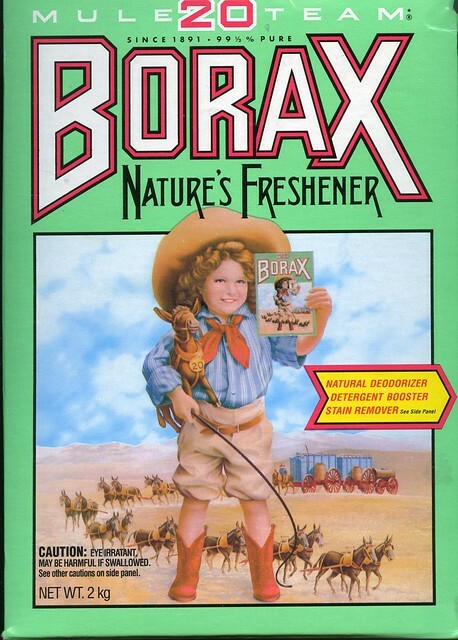 I remembered there was something about Borax that sent ants into a tizzy. Racing downstairs, I pluck the Borax from the laundry room shelf – in my haste I completely forgot that black widow spider number eight could have been waiting to ambush me. One battle at a time. It only took a few minutes research to find a recipe for Borax solution. One cup of sugar, two cups of water, and two tablespoons Borax went into a plastic container. I smeared enticing trails of peanut butter up the outside, evicted the flower pot, and placed it on my window sill. Siege engine in place, I waited. At first I checked every half hour, then hour, finally calling it a night. These ants were clever; they obliterated the slightest crumb, yet didn’t seem to be falling for peanut butter trails. The morning heralded amazement; it seems I had given them too much credit. The window sill was alive – as was the container which now grew black with fallen soldiers floating in sugary Borax deception. Content to let my weapon fight the war I held back. For two more days the battle raged, without warning hostilities ceased, dust cleared – it was over. The fallen army had retreated – that was three weeks ago, not so much as a scout has dared set foot in my kitchen. Sometimes the solution is so simple.